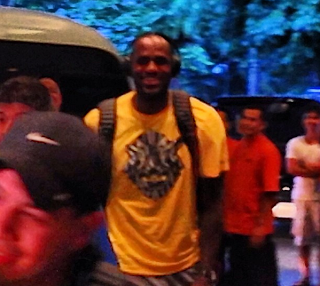 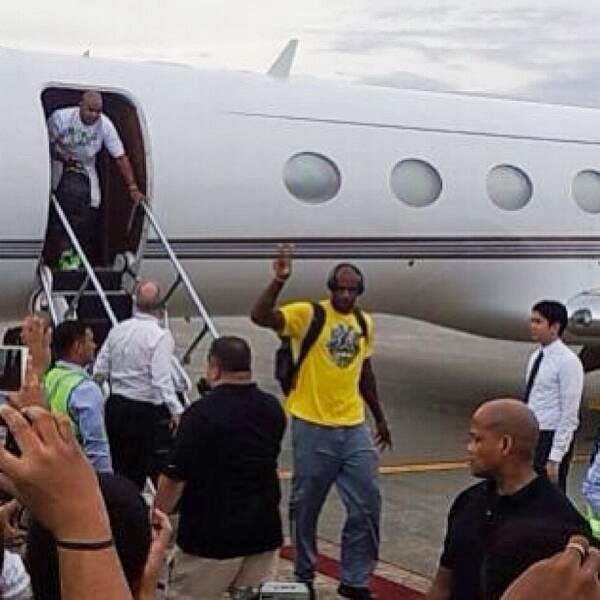 LeBron James has arrived in Manila, Philippines on July 22, 2013 for his "Nike Witness History" tour. 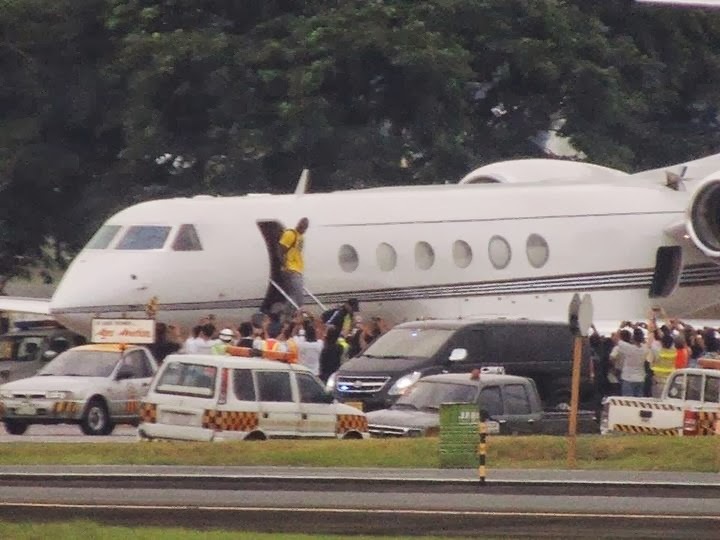 Lebron James, who last month was named Finals MVP after leading the Miami Heat to back-to-back NBA championships, came to Manila on board a private jet, a Nike Corporate Jet N3546, which landed at NAIA around 5:30 in the afternoon yesterday. 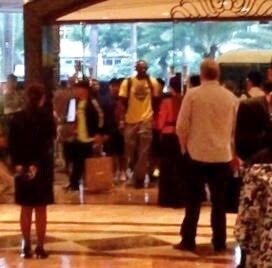 He went straight to the Makati Shangri-la Hotel where he will be staying for the duration of his Manila visit, and where his "Nike Witness History" press conference will be held at noon today, July 23. At 2PM after the presscon, Lebron James will go to the Nike Park at the Bonifacio Global City Taguig for an appearance and finally, at 4PM, he will be at the Mall of Asia Arena for his Nike-sponsored "Witness History" basketball clinic.